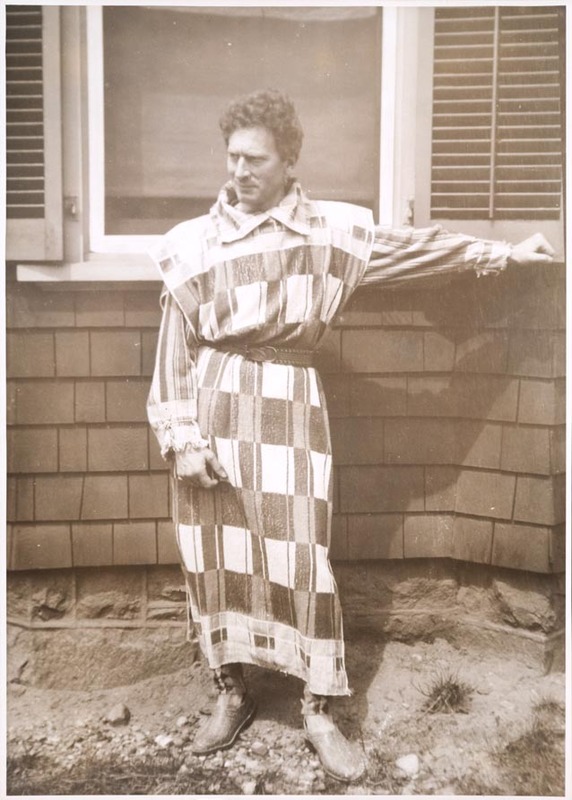 Should Percy Grainger be regarded as a modernist? Or should he be dismissed, as he has been in the past, as an inconsequential arranger of British folksong? Even a cursory scan of Grainger’s life reveals that he was an innovator in many diverse ways: his individually created language eg ‘over-soul’(= genius), his outré towelling clothing, his bizarre habit of running between concert venues whenever possible rather than using any other form of transport, his exceptional inventions for making music eg the Kangaroo-Pouch oscillator, unconventional groupings of instruments eg his transcription of Debussy’s Pagodes for harmonium, glockenspiel, metal marimba, celesta, dulcitone or harp, staff bells, tubular chimes, gong, xylophone, wooden marimba plus three or four pianos to simulate the sound of a gamelan. These are only a few aspects of an original thinker, a true individualist who was often ahead of his time. Yet Grainger is not universally regarded as a modernist in the league of his contemporaries Stravinsky or Schoenberg. It raises the question of what the word ‘modern’ means, or what is ‘modernism’. One dictionary describes modernism as “marked by a significant departure from traditional styles and values”. By that criterion, Grainger should indeed be regarded as a modernist. Certainly his life and music continue to inspire ongoing research and study. A symposium held at the University of Melbourne in 2007 celebrated Grainger’s 125th anniversary. Not infrequently, such an event results in publication of the proceeds. 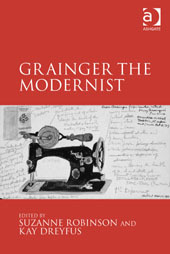 This book, Grainger the Modernist, is a set of thirteen chapters written by symposium contributors from Australia, Canada, USA and England. They address the philosophy of modernism and explain the practical ways in which Grainger demonstrated his modernism. They reveal reasons why Grainger is still on the fringe of being regarded as a modern composer and describe why that assessment is inaccurate. This is a scholarly book, yet it is eminently readable and jam-packed with information. The excellent introduction provides an illuminating overview, but does not offer unconditional praise to Grainger – he is portrayed at one point as somewhat egotistical, and that he was “exasperated that society did not condone his exceptionalism”. However, the writers of the different sections simply lay out the facts for the reader to decide whether or not Grainger was exceptional, or modern. Sceptics may have to reassess their views. Even as teenage student Grainger was using open fifths, whole-tone and pentatonic scales in his harmony exercises – this unconventional behaviour did not impress his tutor at all. Undeterred, and with confidence in his innate abilities, he went on exploring unusual harmonies and textures, irregular rhythms, indeterminacy, microtones, composed improvisation, innovative use of percussion, and more. At one stage he used wordless syllables in a choral work and, soon after, so did Vaughan-Williams and Delius. Suzanne Robinson provides an entertaining account of the public’s reaction to In a Nutshell, a work that was groundbreaking and extremely modern in its day, especially when Grainger shocked his audiences by reaching inside the piano to hit the strings with a mallet – prescient of the prepared piano which is not uncommon today. But the work eventually failed to keep its composer in the ranks of modernists. Canadian academic Graham Freeman describes how Grainger’s methods for documenting folksong, using the most up-to-date phonographic equipment available, differed unacceptably from the Establishment of British folksong collectors and how he predated by some decades the discipline of ethnomusicology. Three chapters cover other aspects of folksong: early British folksong settings, why they were innovative and how those of 1899 differed from those of 1946; folksong settings and musical irony; his fascination with Maori and Rarotongan song. Other topics include Grainger’s engagement with contemporary composers, notably Debussy, Ravel and Fauré from France, Granados and Albéniz from Spain, music of white and black Americans. His interest in early music and the reception of a series of historic chamber music recitals in Brisbane makes interesting reading. As an educator, a chapter on Grainger’s work with student bands in America elaborates a comment made by pianist Leslie Howard in a recent radio interview, that Grainger revolutionised and raised standards in the use of band instruments, upgrading both the performance and listening experience. Howard observed that Grainger remains in the repertoire and has never waned in popularity in the USA. His Free Music inventions and other innovative musical instruments are covered in the final chapter, demonstrating how ultra-modern Grainger was in his imagining of possibilities. He was a pioneer of electroacoustic music, anticipating mulitracking, sequencing and more. This fascinating part of his output is described in detail. Extracts from music manuscripts, letters, autobiographical writings, photographs and footnotes accompany the text. 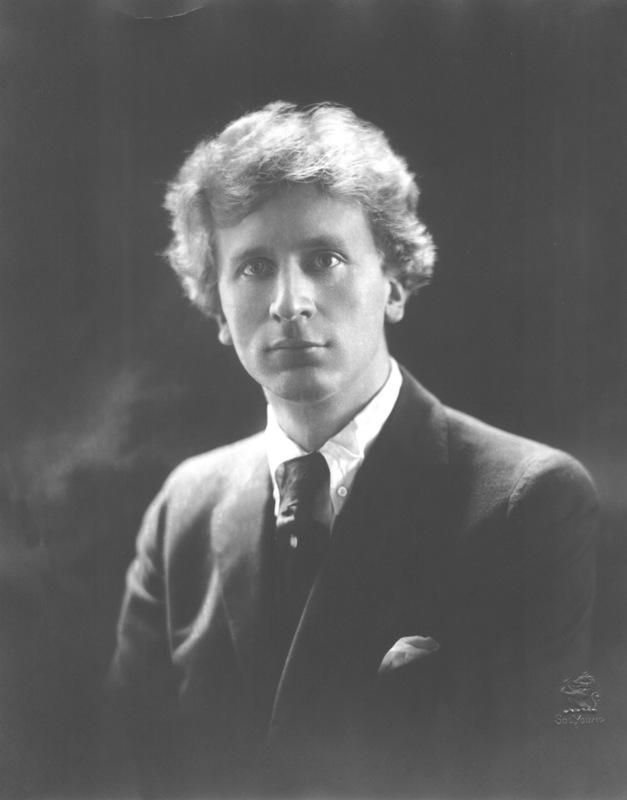 Many references to the Grainger Museum at the University of Melbourne and the Estate of Percy Grainger testify to the essential nature of these sources. The categorised index is helpful for ease of comprehension and will facilitate the reader’s study of the book. The production, in hardback, uses fine paper; the font, though small, is clear and legible. This book is a valuable addition to the increasing volume of knowledge about Grainger and his unique contribution to the world of music. One might concede that, despite his brilliance, he did not produce a body of larger works that would have established him more firmly amongst the ranks of recognised modernists of the era.